How can we help you with HDPE? Let us know how we can help you or call us directly: timothy.allen@sunbeltsupply.com, (863) 607-5224. Southwest Stainless & Alloy provides integrated, value-added flow solutions through best-in-class plastic piping products and services including material grades of HDPE, PVC, Polypropylene, Teflon, and Kynar. We offer plastic piping systems design engineering, fabrication, electro fusion or plastic welding with unique solutions to fit each customer’s requirements. Our state-of-the-art fabrication facility can design and develop a variety of fittings, structures and accessories to meet your demands. Available products include standard ells and tees, flange adapters, manholes in 42” – 120” diameter, plastic liners, plastic valves, transition fittings and flanges. Our products and services are suitable for many applications including lift stations, sumps, tanks, dual containment, spools, and containment liners. Our knowledge and experience serves a wide range of industries such as agriculture, aquaculture, chemical, conduit, dredge, fertilizer, gas, heavy industry, landfill, mining, municipal, oil patch, petrochemical, power, pulp & paper, and waste water. Proper field installation is critical to successful long-term pipe performance. We have more than 40 years of experience with trained crews who have installed all types of plastic pipe in many applications. Our factory-trained fusion technicians and skilled personnel are on call 24 hours a day to assist our customers. With one phone call to our sales staff, we can mobilize and service the customer’s needs. We have done work on sizes from 1″ – 54″ in a variety of industries and can provide dedicated field superintendents for each job to ensure the work is done right. From pipe rack installations to ditch welds, our crews have accomplished it all. 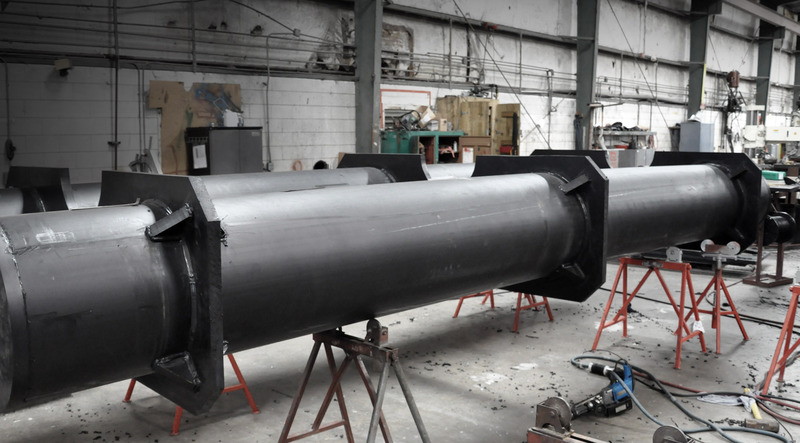 We offer a variety of fusion services that are best suited to efficiently join HDPE. As a fusion expert, we can cost-effectively repair existing lines using pipe bursting, slip lining, dual containment, directional drilling, and manhole connections. Our trained fusion technicians can travel to any job site nationally or internationally and can handle electro-fusion to wedge welding, so we can join pipe quickly, economically and permanently – in the shop or on the job site. We have assisted our customers with the installation of complex piping systems and pride ourselves on our on-site performance. Equipment rental may be a money-saving option for many jobs. As an authorized McElroy Rental Center, distributor and repair center, Southwest Stainless & Alloy is equipped to handle all of your fusion machine rental requirements.